“Desire” was the first single for the album “Rattle and Hum” and preceded the release of the album and the movie. The commercial single was issued worldwide and there were a number of promotional items issued. On top of the usual promotional singles that are similar to the commercial releases, there were two unique items issued in the UK. There was a 12-inch vinyl and a cassette release for promotion of “Desire” featuring the 9:23 remix of the song. In both cases the cover was black with a different finish of black print, making the title visible only at certain angles. In both cases the promotional release has only “Desire (9:23)” as the track listing. The “Desire” promotional campaign once again featured a promotional CD for the USA market. This was the second time that a CD had been issued for promotion, the first being for the promotion of “Where the Streets Have No Name”. The promotional CD for the US was in a custom printed gatefold cardboard sleeve and contained just the main version of the song. Promotional CDs would be issued for most U2 releases going forward. A number of 7-inch promotional singles were released that featured “Desire” on both sides. These included releases in Argentina (in generic RCA sleeve), Canada (white label ), Mexico (in generic Ariola sleeve), and the USA (white label). A number of 7-inch promotional singles contained “Desire” on one side, and “Hallelujah Here She Comes” on the other. These included releases in Australia (same as commercial with a promo sticker), Canada (same as the commercial, but with a large hole), France (same as commercial with large hole), Germany (same as commercial with “Single Facts” sheet), and the UK (same as the commercial, but with a large hole for juke box use). There were also two 12-inch promotional releases in the USA. Both of these were released with a white label. One, catalog number DMD 1258, contained “Desire”, “Hallelujah Here She Comes” and “Desire (Hollywood Remix)”. The other, catalog number PR2499, contained just “Desire” on both sides. In Italy a 7-inch pressing of the single was done for juke boxes and was released with a unique sleeve featuring the lyrics of the song. This was backed with “Un Ragazzo Come Te” by Gianna Nannini. More information about these Italian juke box singles can be found under the specific discography entry for these singles. 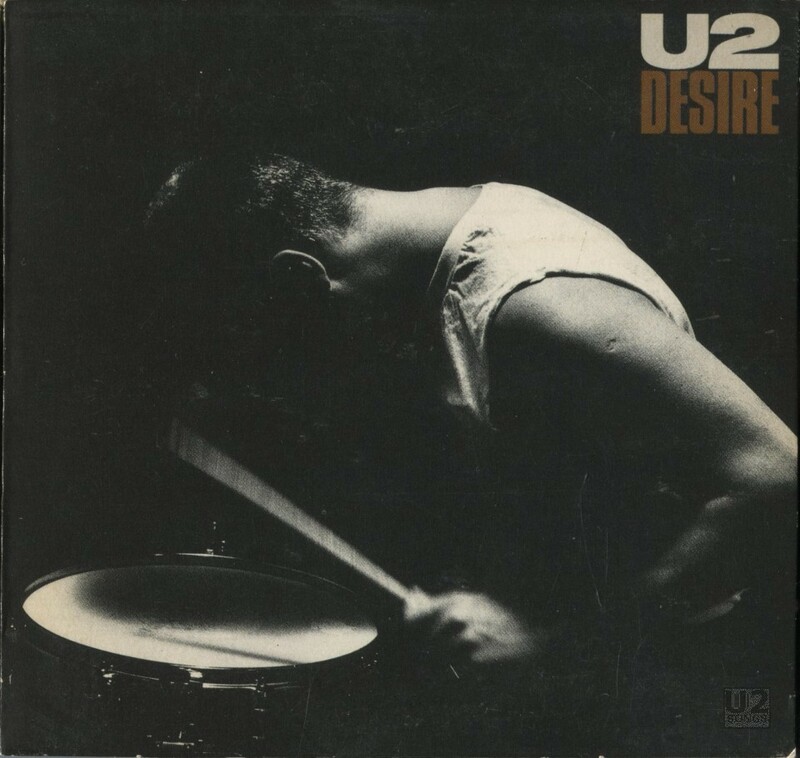 Likewise in Brazil, a 12-inch pressing with “Desire” was released, but may have been backed with a non-U2 track. Further information on these Brazil 12-inch pressings can be found in a separate discography entry.